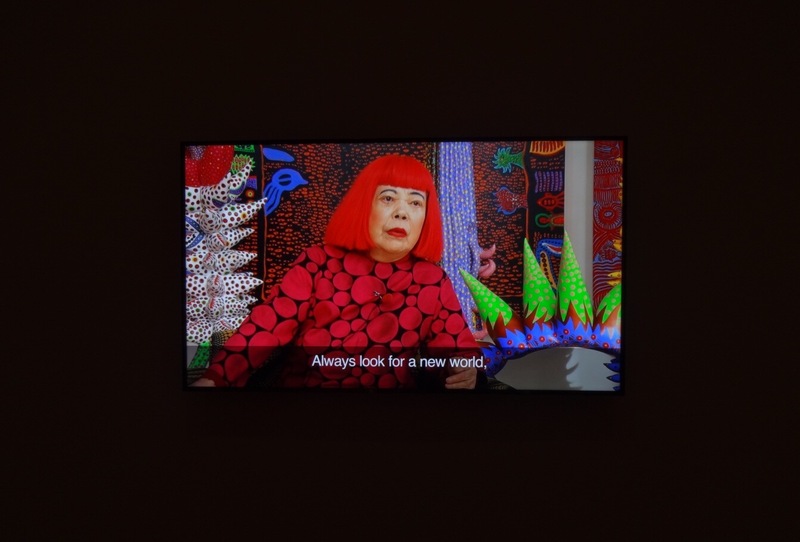 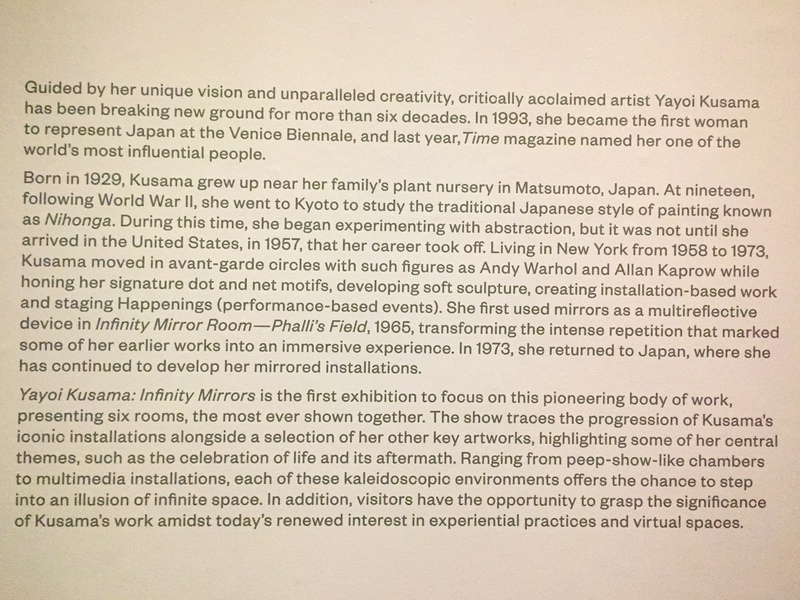 "Infinity Mirrors" is an exhibition celebrating the work of renowned Japanese artist Yayoi Kusama. 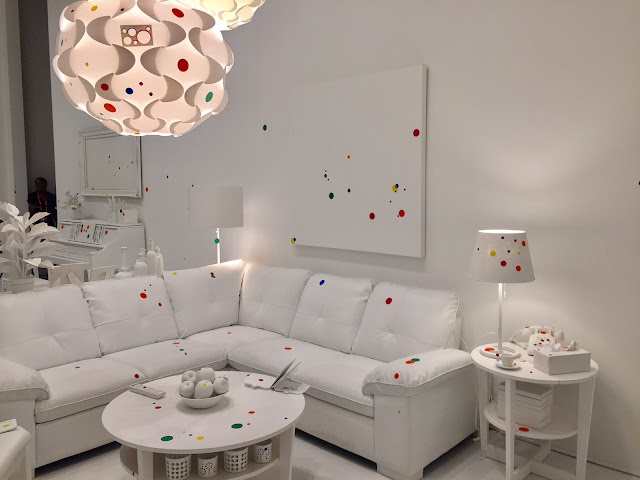 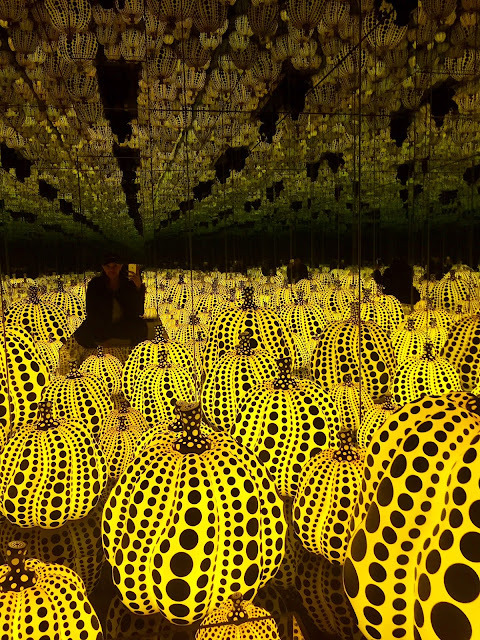 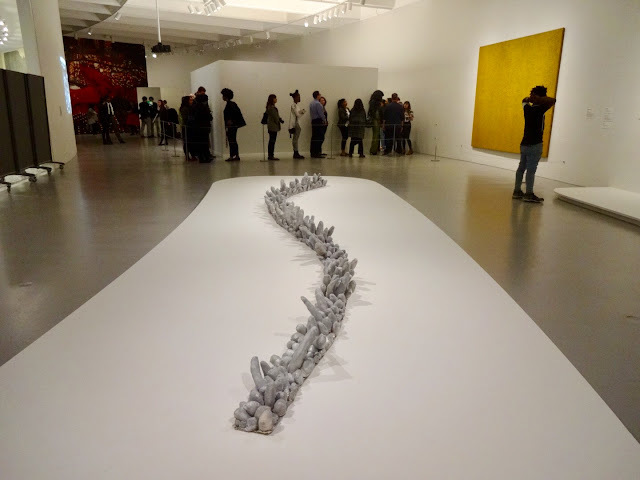 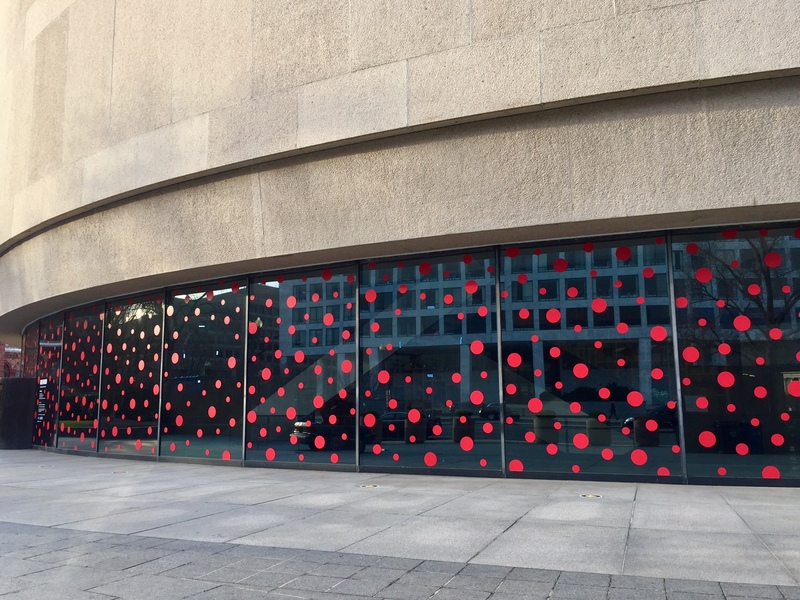 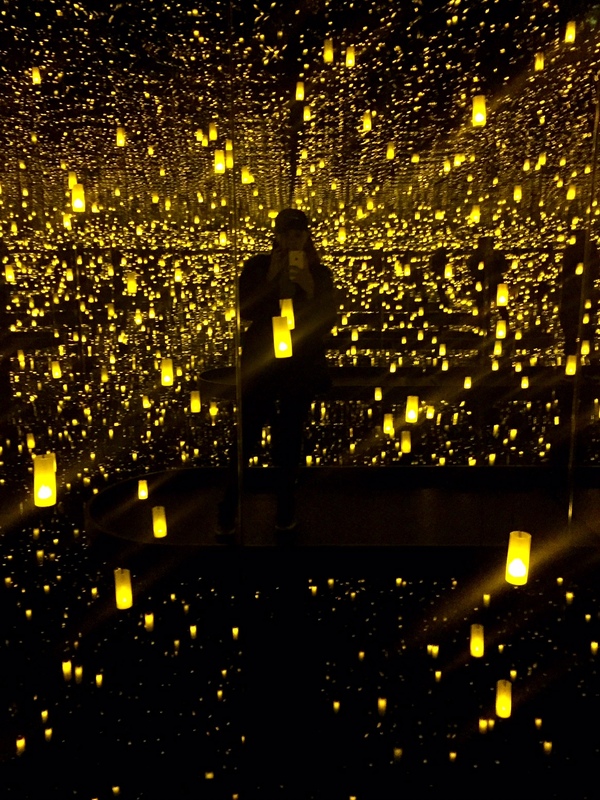 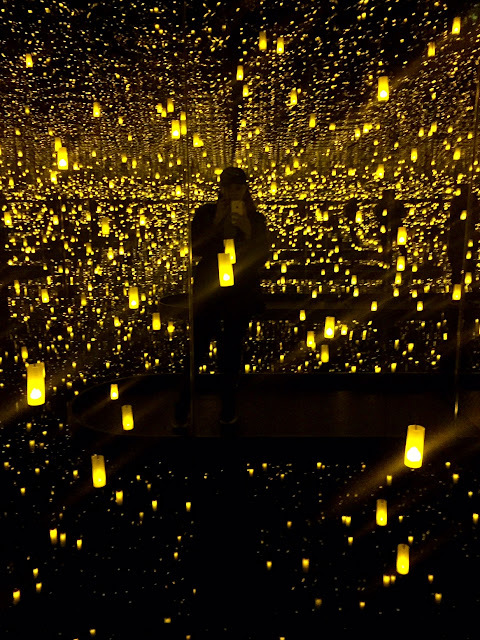 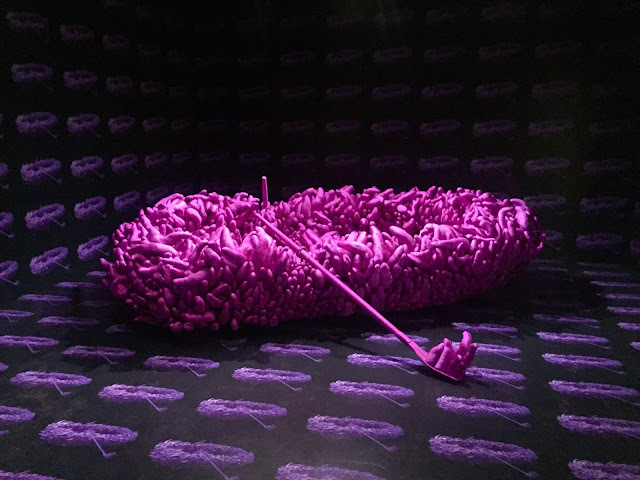 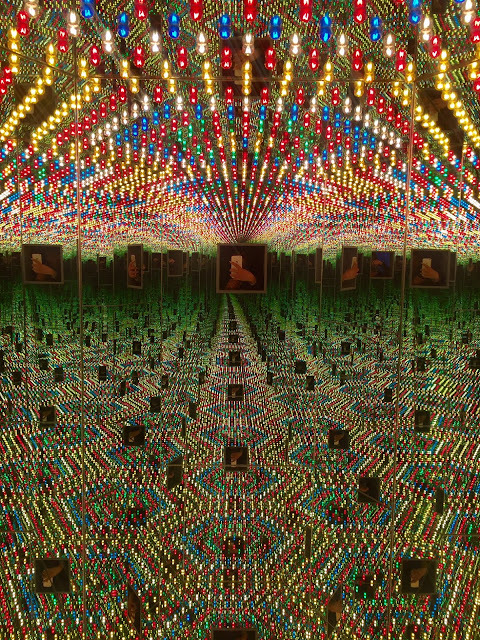 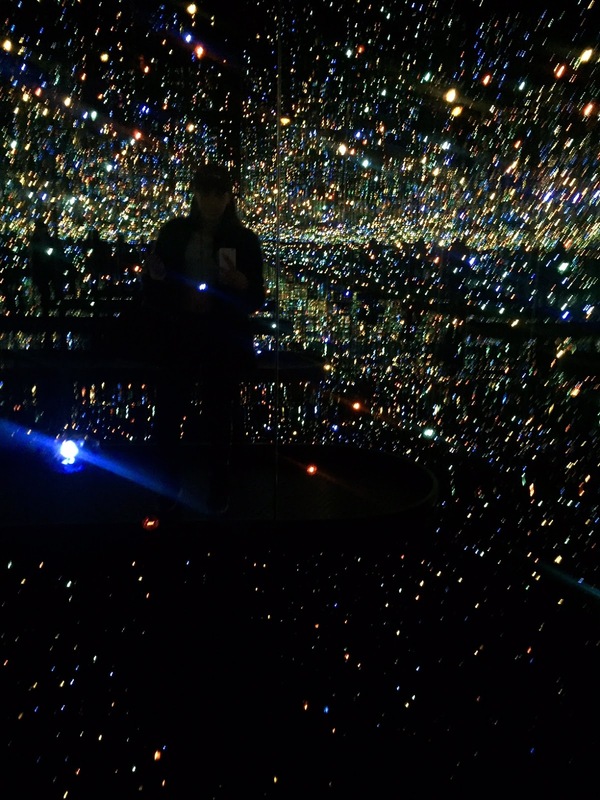 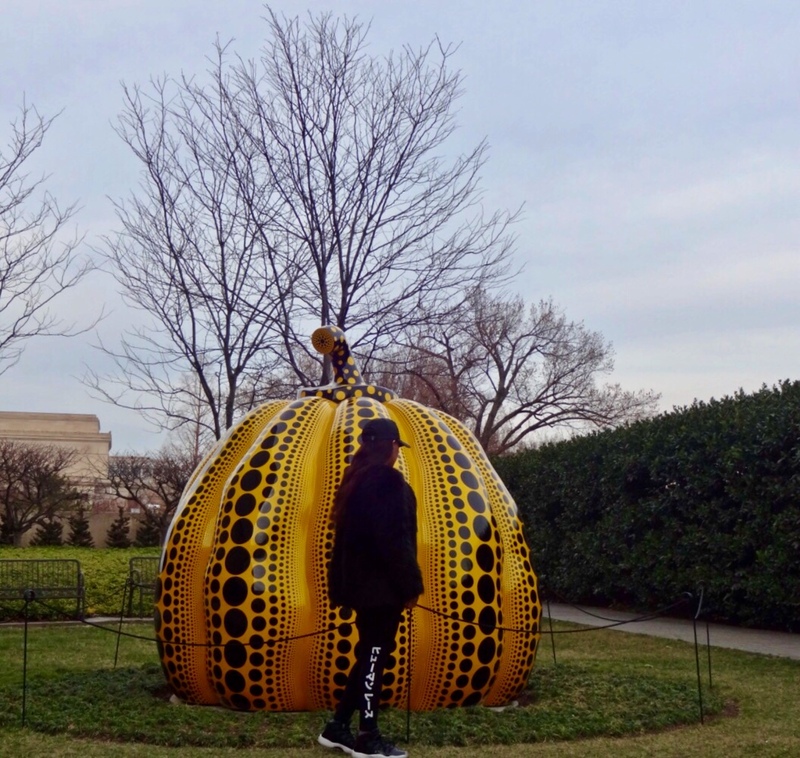 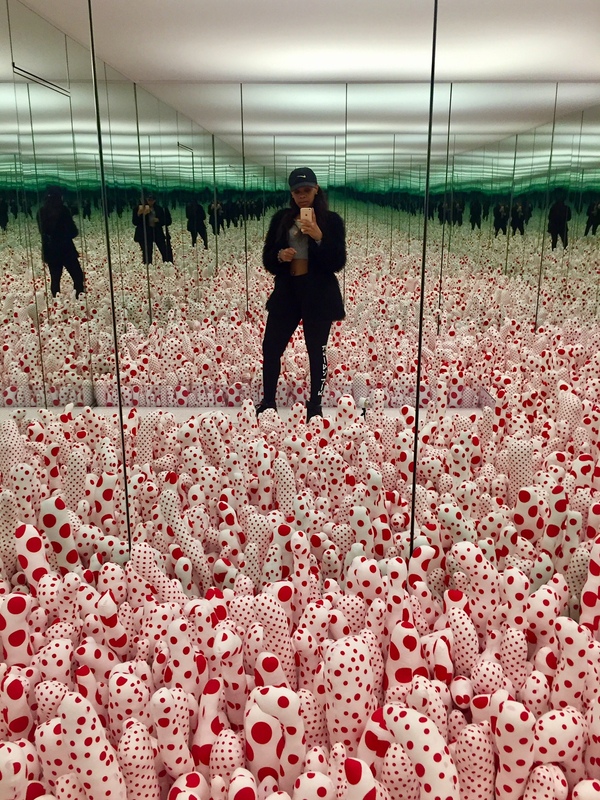 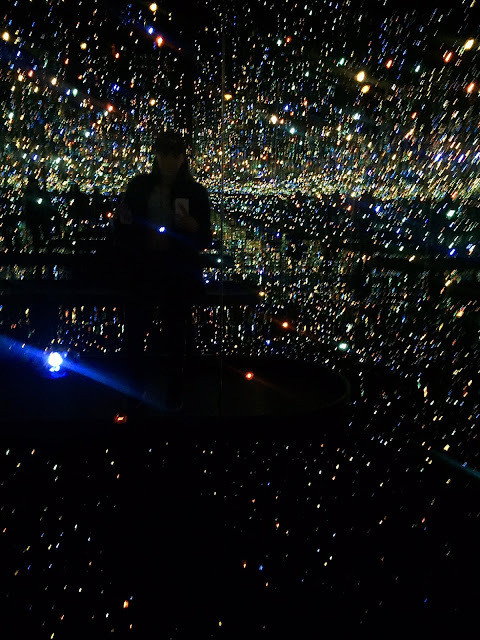 At the Hirshhorn Museum and Sculpture Garden of the Smithsonian Institute in Washington DC, you'll find six infinity mirror rooms that give viewers the opportunity to examine Kusama's central themes, including the celebration of life and it's aftermath. 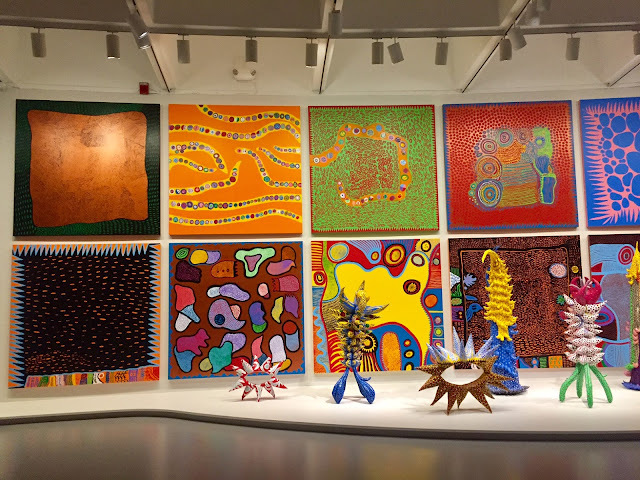 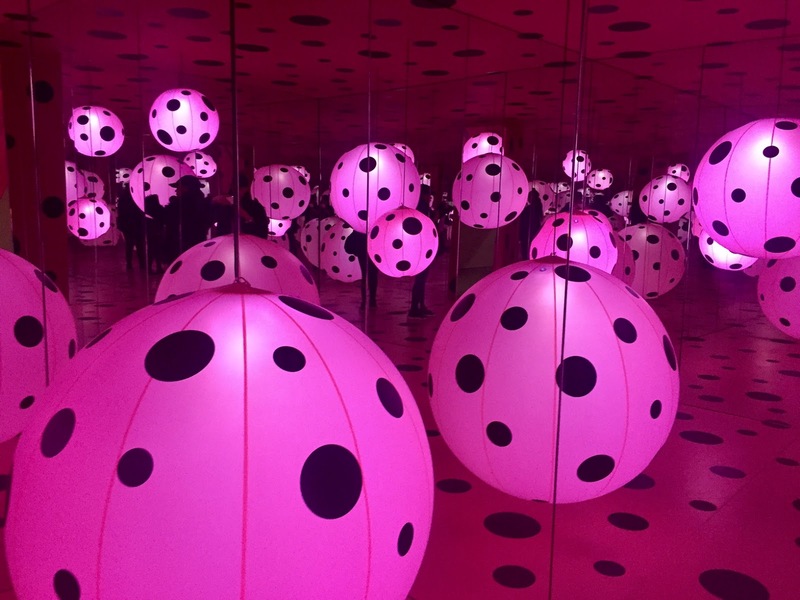 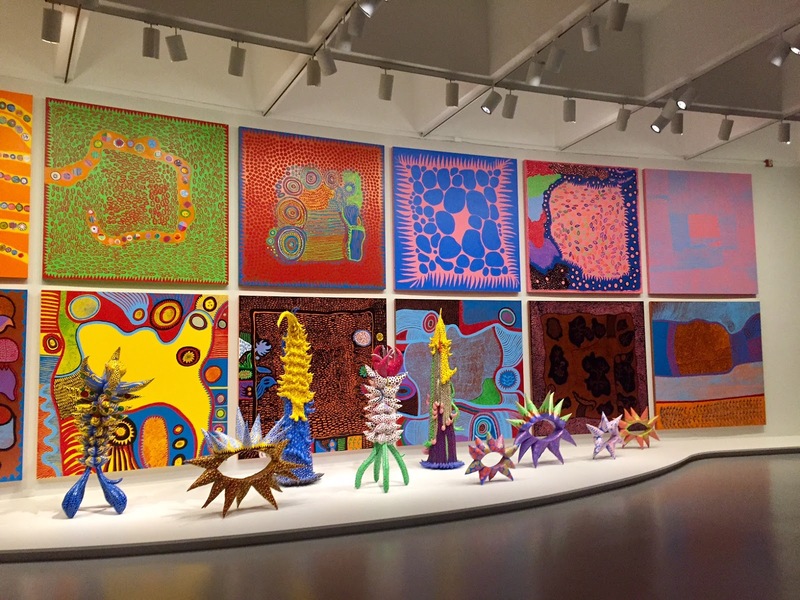 Yayoi Kusama's mirrors combined with her artwork creates a kaleidoscopic environment and gives an opportunity to step into the illusion of infinite space. 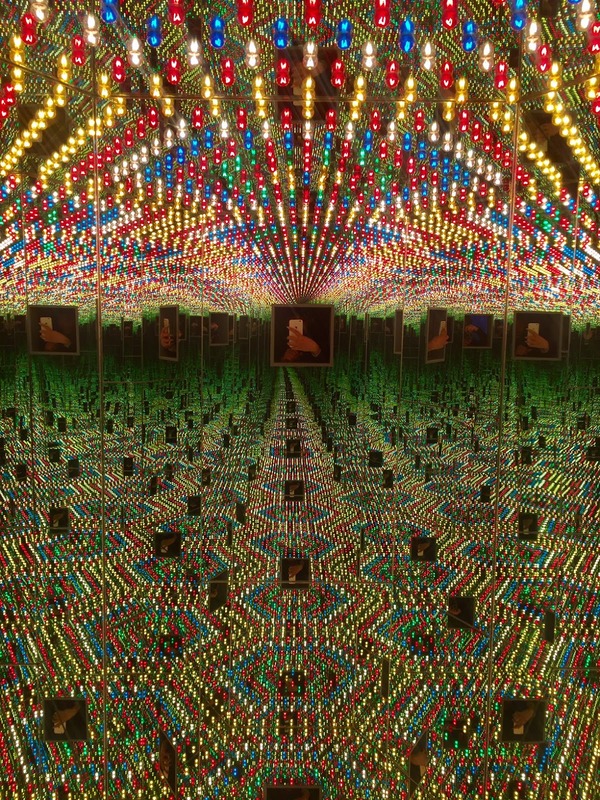 This exhibition has the most ever rooms shown together. 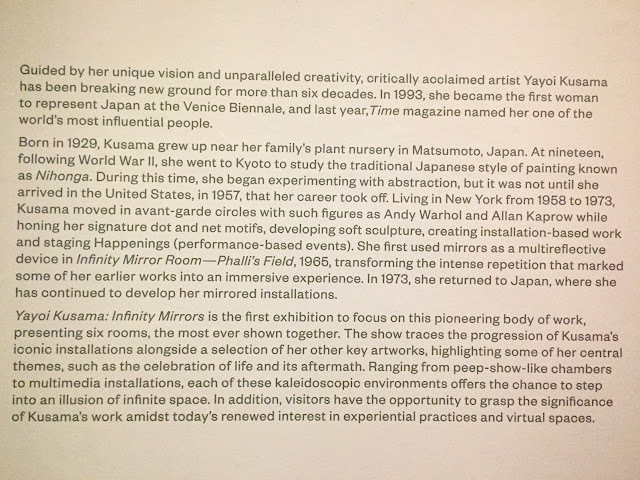 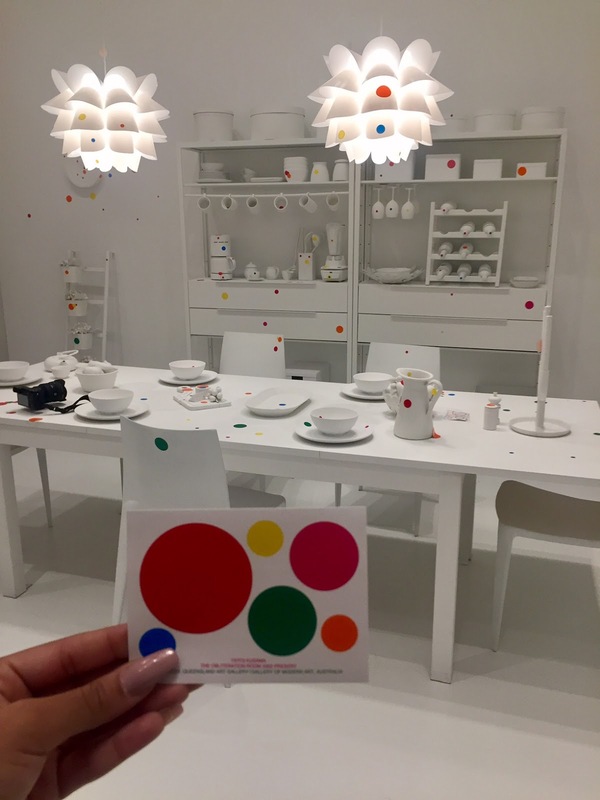 "Infinity Mirror Room-Phalli's Field (1965/2016)"
"Infinity Mirrored Room-Love Forever (1966/1994)"
"Infinity Mirrored Room-The Souls of Millions of Light Years Away (2013)"
"Dots Obsession-Love Transformed into Dots (2007/2017)"
"Infinity Mirrored Room-Aftermath of the Obliteration of Eternity (2009)"
This must-see exhibition is sure to be packed out, hence why to gain access, you will need a pre-selected timed pass. Passes are released on the museum's website Mondays at noon for the following week or you can walk up for same-day passes starting February 23. 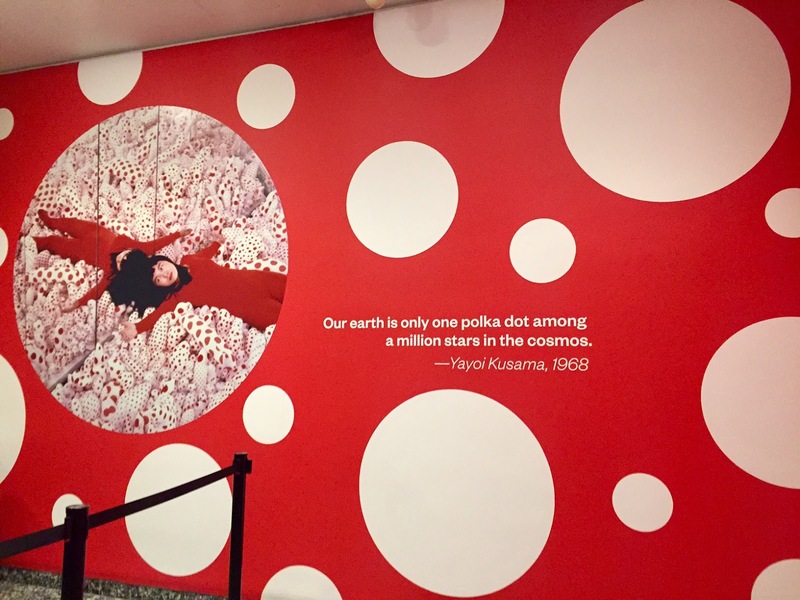 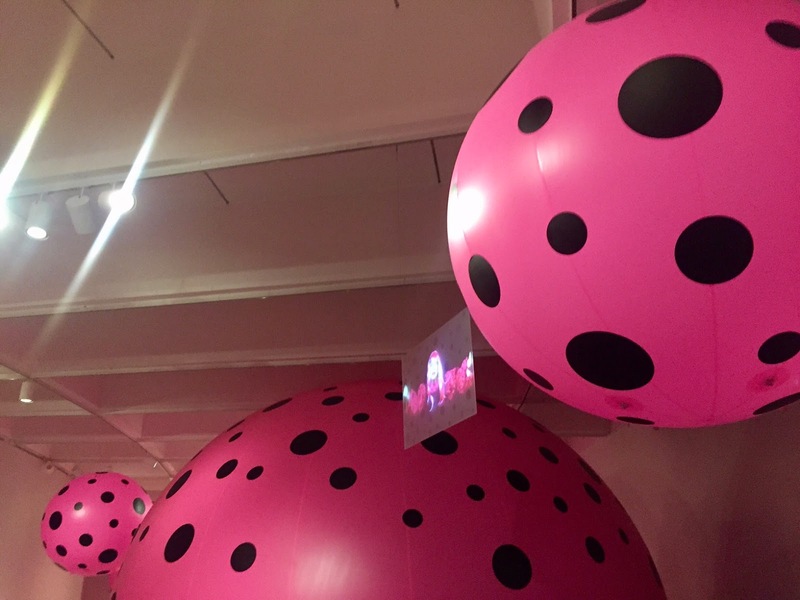 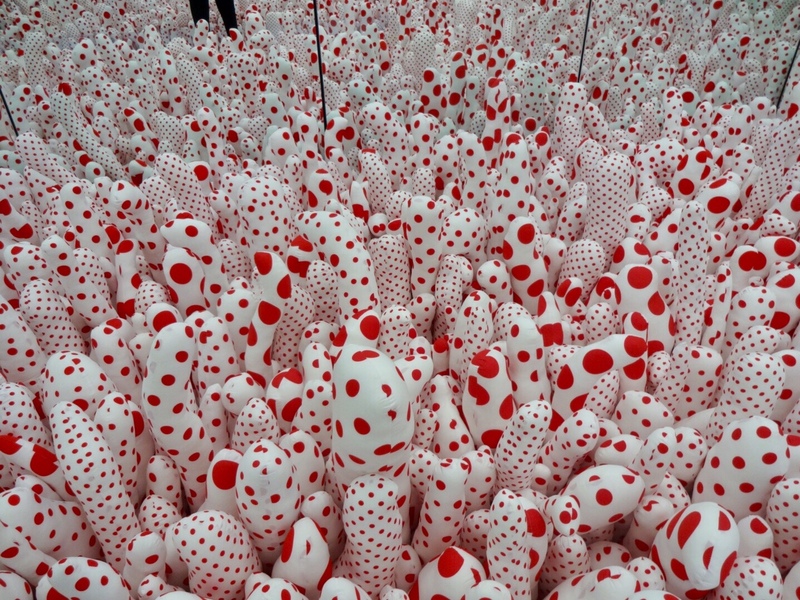 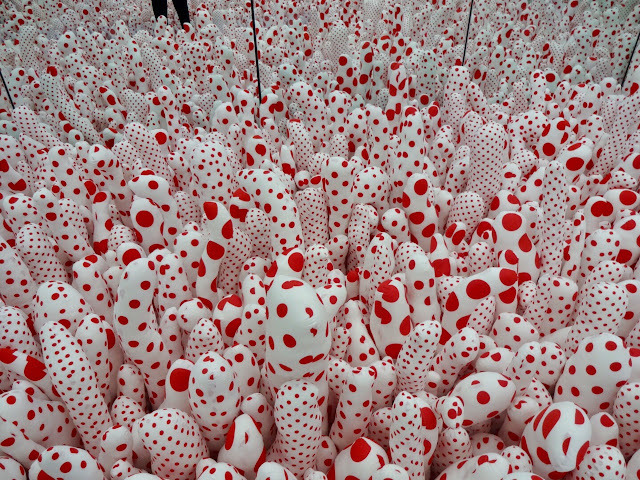 Don't miss out and be sure to share your social media posts with the #InfiniteKusama hashtag!! 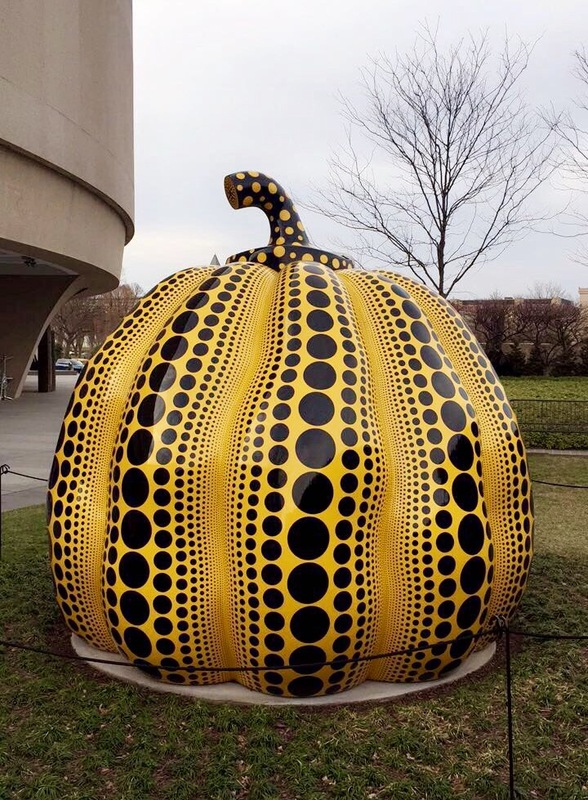 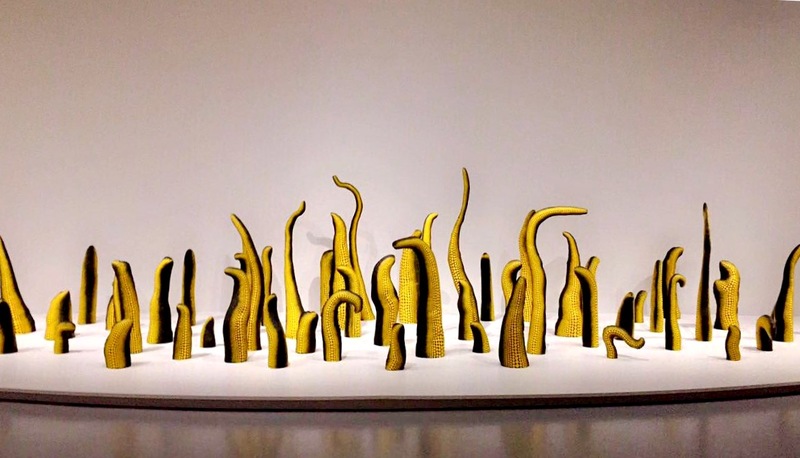 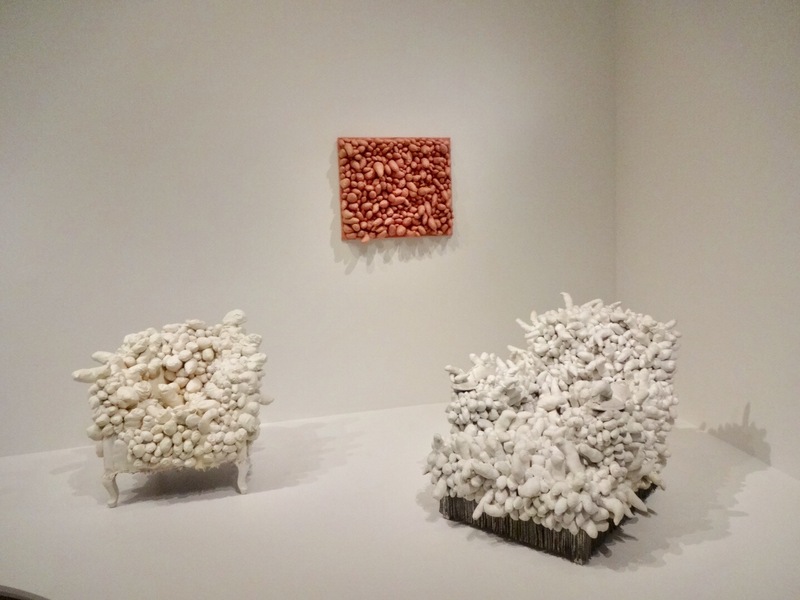 I was a guest of the Hirshhorn Museum and Sculpture Garden for this exhibition but all opinions are my own.